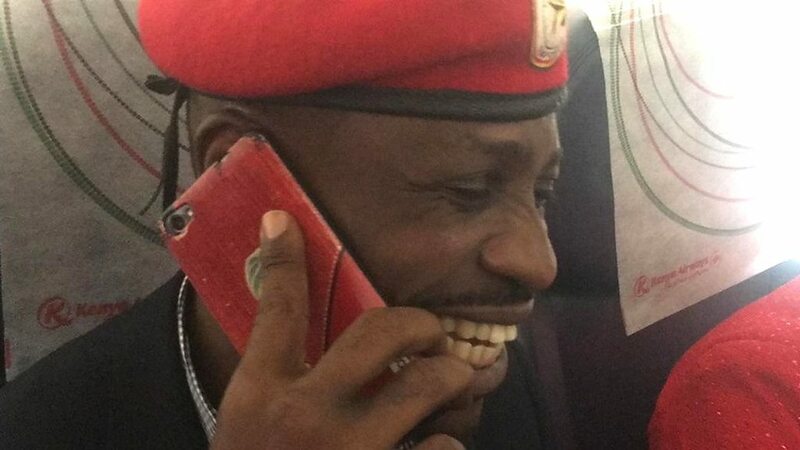 KAMPALA – Ugandan parliamentarian and musician Robert Kyagulanyi Ssentamu alias Bobi Wine has mocked President Yoweri Museveni after his longtime ally President Omar al-Bashir suffered a downfall on Thursday. The parliamentarian who emphasized that people power is more powerful than the people in power warned Kampala regime that the developments in Khartoum should send a clear signal to ruling party NRM chairperson and longtime President, Gen Yoweri Museveni whom he accuses of presiding over a-three decade of iron-fisted rule. “You can fool some people sometimes, but you cannot fool all the people all the time,” Bobi Wine said adding that those who make peaceful change impossible make revolutionary change inevitable. “General Museveni, I hope you get the message loud and clear,” he noted. The Sudanese military on Thursday is believed to have ousted longtime Mr. Bashir in a coup following months of popular protests against his three decades rule. “It has fallen, we won,” protesters chanted outside the ministry. Sudan’s armed forces were set to make an announcement, state media said, amid reports the military had taken control of state radio and television stations. “The armed forces will present an important statement shortly. Be ready for it,” state television said early in the morning. However, hours later the Sudanese were left waiting for details as there were apparent differences within the military. “There is an internal conflict within the military and we are awaiting an announcement,” Khalid Omer Yousif, the Secretary-General of the opposition Sudanese Congress Party, told DW. Reuters, citing unnamed officials, reported that al-Bashir has stepped down and a transitional council headed by military officers will govern the country. It was unclear what would happen to al-Bashir. Sudanese sources said that the president and his aides had been put under arrest. Despite the immediate jubilation around al-Bashir’s downfall, the military intervention risks replacing one military dictatorship with another, dashing protesters’ hopes for a civilian government and opening the way for instability. Earlier this week, the US, Britain, and Norway called for Sudanese authorities to respond to protesters demands.